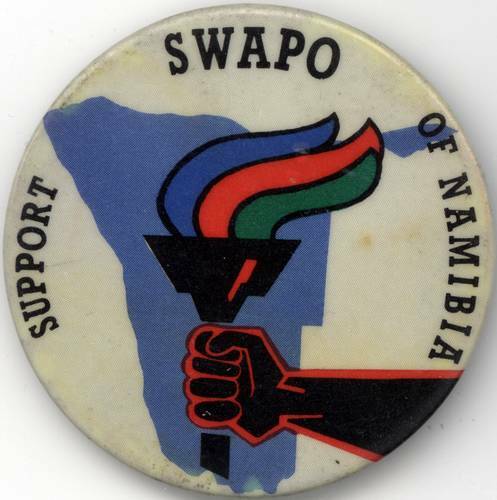 Button in support of the South West African People's Organization (SWAPO), the liberation movement of Namibia. Most likely produced in the United States. Size: 2 1/4 inches across.